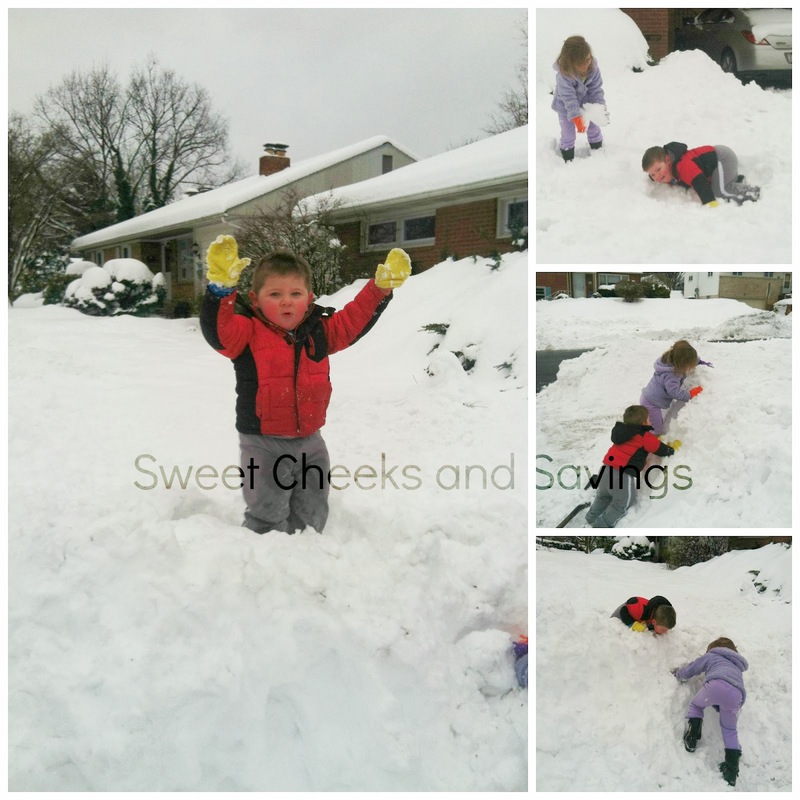 Sweet Cheeks Adventures: Having Fun in the Snow! Since moving to Pennsylvania one year ago this week, the weather has not impressed me. Sure, I am from Kansas.. We got a lot of snow. That snow was always followed by a day that was about 50 degrees and melted all of the pretty white. That is fine with me! Well, apparently Pennsylvania doesn't agree. I have had to shovel the drive and sidewalk multiple times this year. 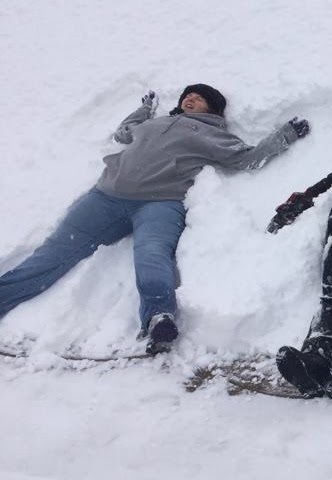 I love the extra chance to burn the calories but when eventually you run out of room to put the snow, what do you do? It certainly isn't fun anymore! Today I had to shovel about a foot of snow. Again, not an issue but where do I put it? I made a mountain for the kids to play with! Check out the pictures! Moral of the story? Have a little fun to offset all the white stuff! The snow isn't so bad as long as you accept it and use it to your advantage! Happy Snow Day, Everyone! !